It really has felt like fall the last few days. Yesterday I pull out the fall decor and starting decorating for fall. There are a lot of card challenges using fall themes and colors so I pulled out some pumpkin stamps and autumn colors and here is one of the results. Stamped pumpkins on a cream CS and colored with Copics and sponged with inks. Matted on a gold metallic CS. 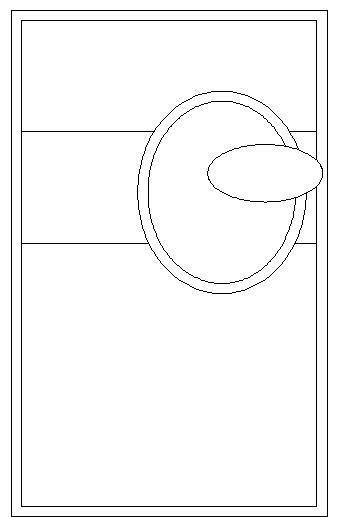 Both cut with circle dies. Assembled card with a sketch from Stamp TV using cream base, brown mat, embossed pumpkin spice mat, strip of green layered with ribbon and a oval with sentiment embossed in gold EP. Speedy the Cat's Friends Challenge: Use a pumpkin on your card. 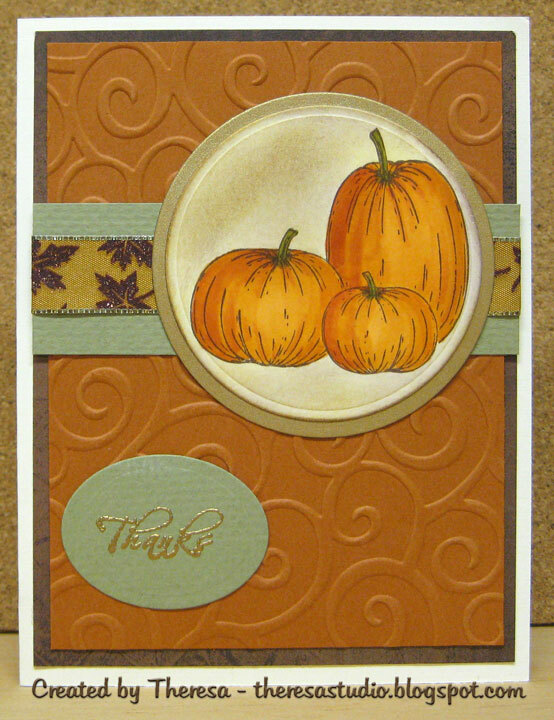 Flourishes Timeless Tuesday : Do a fall/harvest theme project using green, brown, orange/russet, and cream. Cards for Men: Theme is autumn. Simon Says Challenge: Use photo as inspiration and use autumn colors. Stay tuned for more pumpkins. hee hee - I was going to let you know your card qualified for SCF - but YOU KNEW THAT! Happy pumpkon card! Thanks for playing with Speedy's Friends! Well this is just a wonderful pumpkin card!! Thanks for playing along with us at Speedy's Friends. Love it... your pumpkins are colored perfectly! I will stay tuned for more pumpkins! 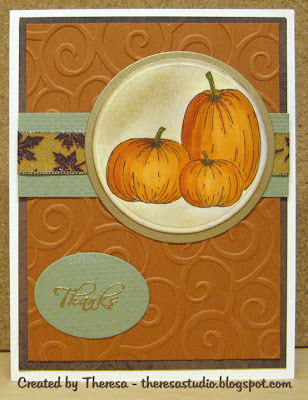 Love this fabulous pumpkin trio with the leaf ribbon and swirl background!! Thank you so much, Theresa, for creating this beautiful card to toss into Speedy the Cat's pumpkin patch for this week's challenge!! Wonderful card and very much what I think of as Autumn. Thanks for joining us over at Cards for Men and good luck with the challenge.